The below is the first in a new quick weekly summary of this week’s First Minister Questions session from Cardiff Bay. 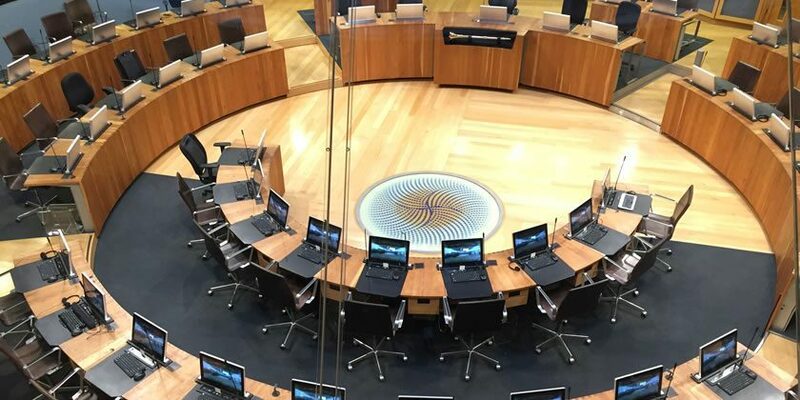 The First Minister flatly rejected any notion of tribalism noting the Welsh Government’s opposition to the Autism Bill was clear; a number of new measures and actions such as a statutory Autism Code mean there’s no need for a Bill at present. If these measures don’t work then legislation will be considered. Paul Davies AM said that his colleague, Darren Millar AM (Con, Clwyd West), is bringing forward his own proposal for a law on older people’s rights today – and asked will this have Welsh Government support. Adam Price asked whether the problem, ultimately, was whether too many decisions in Wales are being made by others and driven by forces outside Wales, Wales “needs a captain and needs a game plan”. ery part of Wales, where people will see the investments that we are making in public facilities, in transport infrastructure, in a £5 billion rail franchise, in a new convention centre that will bring activity to Wales from other parts of the UK”.